I’d have to choose a novel set in modern times because I’d be a big baby without electricity, toilets, lotion, and epidurals. But, I’d like something in a fantasy world so I could have a little fun! I think the Harry Potter “world” would be perfect, but only if I could choose what sort of character I’d be. It wouldn’t nearly as much fun if I ended up a muggle! I really wish I could remember! How lame is that? I do remember telling my sisters that I was an exiled princess from another land. So, perhaps I had my sights set on being a princess. As a kid I LOVED Matilda by Roald Dah. When I was eight my family was moving out of state and I was afraid the library in our new town wouldn’t have a copy. So, being the little sneak that I was, I tried to type out the entire book on my dad’s old word processor – we’re talking a 1980’s hunk of junk. Never mind the million copyright laws I was breaking! I think I only got through the first couple of chapters and then gave up. I’m just now realizing that I STILL don’t have my own copy. I should do something about that! I mean - I’ll buy it, not type it out. Cold Stone Creamery’s white chocolate ice cream with two Recees peanut butter cups mixed in. Booyah! Fall. I feel a sense of winding down this time of year, which is nice, but it’s also great to pull out all my cozy, yet stylish, sweaters that hide all that extra padding I was supposed to lose before swimsuit season, but never did. This is funny. My husband and I argue about this all the time because he wants nothing more than to vacation at the beach and I want nothing more than to not get eaten by sea creatures. I recently wrote a guest post about my fear of fish, among other fears, that will shed some light on this extra cool phobia of mine. I can’t tell you how many times I’ve wanted to go back and visit my old self – knock some sense into her. But, that would be a waste of a trip because I’ll probably keep doing stupid things no matter how many future me’s came to visit! So, I think I’d rather go back in time and take a few music lessons from Mozart or Rachmaninoff. Wait! I have a better idea. I’d go into the future when I’m supposed to look 95 and give my husband the shock of a lifetime when I walk through the door with my younger, fabulous self. Sure, it would be a frivolous use of a unique opportunity, but it would be hilarious. Sometimes the best times are the funniest times. Take classes, go to writers conferences, and don’t be afraid to let people critique your work. Hmmm, how many pet peeves could I list before I am perceived as a crotchety old bag? Actually, only a few things bug me. Empty toilet paper rolls, foul language – especially in front of my kids, newscasters (sorry, I can’t help myself, they all bug me), and Christmas spelled X-MAS. Man, I DO sound like an old bitty. I promise, I’m a nice person. 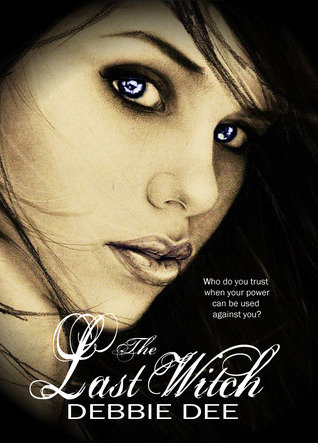 In a fairytale world where the witch isn’t always the “bad-guy” and the prince isn’t always the most eligible bachelor, THE LAST WITCH is a romantic adventure you won’t forget. I’ve loved all the interactions I’ve had with so many different people all over the world - readers, bloggers, reviewers, etc. There are so many awesome people out there who love books and want to share them with others. Book two in the Incenaga Trilogy, THE UNDERGROUND WITCH, will be released on May 2nd, 2013! Look out for the cover reveal in March. I’m also finishing up the final edits for a historical fiction set in ancient Egypt that I’m very excited about- DESERT GUARDIAN. It is about a blue-eyed, blond-haired girl who inadvertently saves Pharaoh’s son and is rewarded with an invitation to join the elite royal school in Egypt’s capital. It’s an adventurous middle-grade novel. For generations the Incenaga Witches have been forced to use their power to fulfill the wishes of others until they are drained of their magic and left to die. Desperate to protect his infant daughter - the last surviving witch - Emmeline's father escapes with her to the forests where he vows to keep her hidden from the world and from the truth. 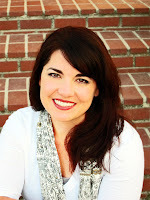 Thanks for having me on your blog! I had so much fun with your interview!! Ha! This was such an awesome and fun interview!